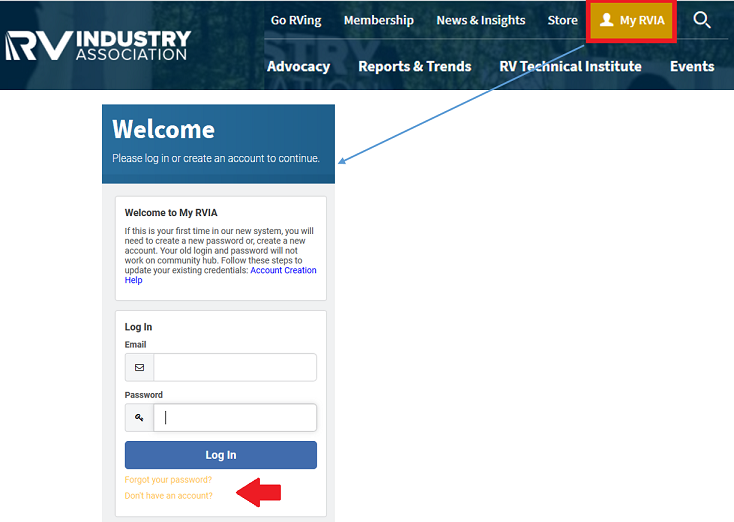 If you already have an RV Industry Association record, a message will appear prompting you to select your record from a list. You should receive an e-mail within five minutes with instructions to reset your password but if you don’t, be sure to check your junk mail folder. 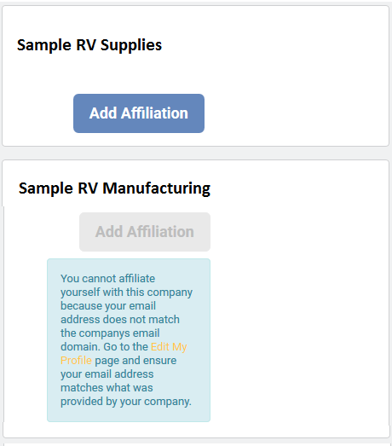 If you have ever done business with the RV Industry Association, you are likely in our database. Please click "Forgot your password." If you have not done business with us in the past, follow the steps to create an account. 1. 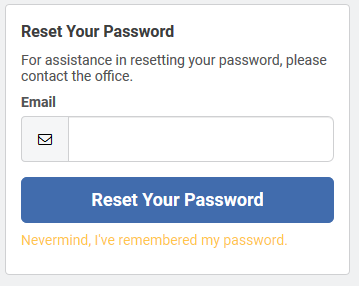 Forgot your password – enter your email address to reset. 2. Don’t have an account? 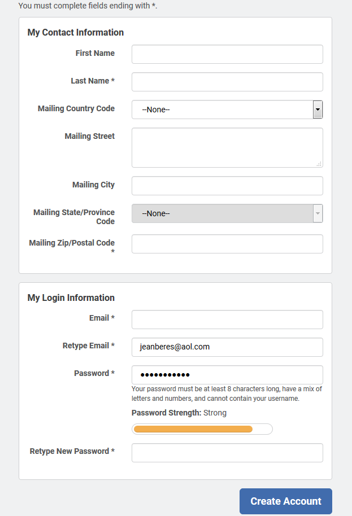 – create an account using your email address. 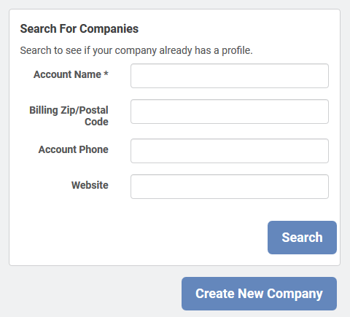 You will also need to enter your company name during the process. 3. If you already have an active web account at RVIA, then by entering your email (username), the system will send you a link to reset your password. 4. The system will search for your web account by your email address. If you do not already have an active web account at RVIA, the system has nothing to reset. You will have to create a new account. 5. If the email address is already in use, you will not be able to create a new account with that email. 7. Click on Create Account when all fields are entered. 8. Your password must be at least 8 characters long, have a mixture of letters and numbers, and cannot contain your username. 9. Click Add Affiliation and type in your company name. Click search. 10. If the system finds the company you entered, click Add Affiliation. Some companies require that a company email address is used. You would not be able to affiliate to one of those companies unless you used your work email address.